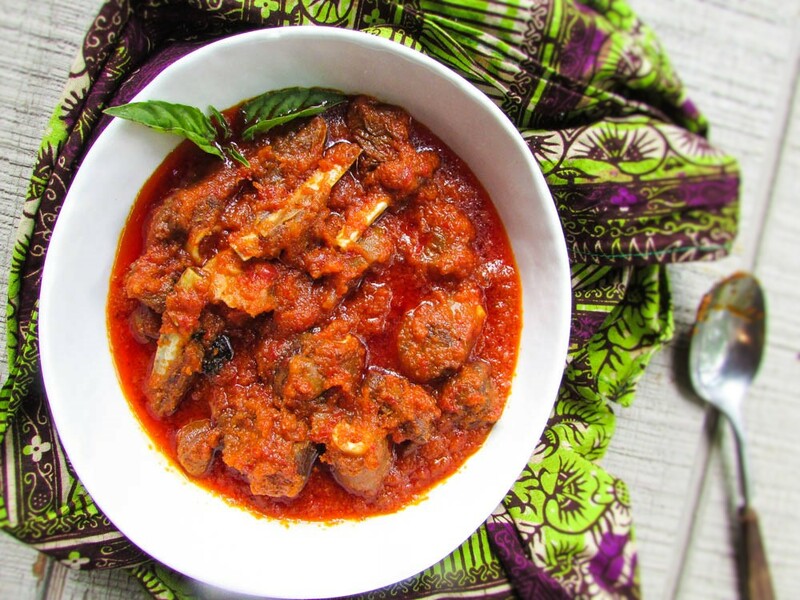 It’s no news that Nigerians love their tomato stew. What is Sunday rice without stew. I mean as much as we love our Jollof rice, don’t come and ruin our Sunday with no rice and stew. In fact the gods will not be happy with you. I mean, no rice and stew on a Sunday? Who does that? That’s what almost happened in Nigeria during the past weeks. There’s been the scarcity of tomatoes in Nigeria and I saw people making comments on social media; most were upset. At first, some people from the opposition said it was President Muhammad Buhari’s fault. I had a good laugh at that one. Not much later, we got to find out that it had something to do with pests. But you’ve got to love Nigerians and their conspiracy theories. Imagine, President Buhari preventing the sale of tomatoes. 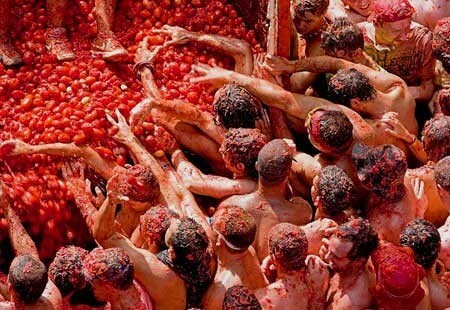 Then there was the tomato festival in Spain. Oh that annoyed many Nigerians…Imagine wetin man dey find to cook with na im these people dey use take do food fight! Abeg make una stop this kind thing haha! And don’t even try to tell Nigerians that they could use canned tomatoes, it’s like buying a wrestling match..sigh!! Anyway, I read a lot of posts and comments with a lot of my people complaining about this tomato issue on social media, so I decided to share an old recipe I have had since my days of living in Massachusetts. In Massachusetts, I lived in a little town called New Bedford and it was filled with Portuguese and Spanish people. I remember going to the shops and seeing a little bottle looking thing with some sauce looking thing in it. On the bottle were the words “Sofrito”. After a few trips to the shop, I decided to get jar. I used some of it for some steak and Nigerian stew and I fell in love with it. Then one day, after been bitten by the food bug, I decided to make mine; using my own method of course…My Sofrito base is not the typical or traditional one, but I promise you, it’s just as amazing! Well, what is Sofrito? Sofrito is a Latin or Spanish sauce base made with peppers, herbs, garlic, onion, tomatoes and sometimes ginger. I have had so many different blends of Sofrito that I decided to always make mine. With this recipe, I did not use any herb as I didn’t find it necessary. It’s quite simple and makes the use of carrots in place of tomatoes. So my people, if the scarcity of tomatoes tries to show you who’s boss; kindly raise your hand high like Beyoncé and say “bye Felicia!” Let tomato know that there is carrot jare. Try this recipe and be your own boss! This entry was posted in Meat stew, Nigerian Stew, Nigerian stews, stew, Stews and tagged carrot stew recipe, Goat meat and carrot stew recipe, Nigerian food blog, Nigerian stew recpe, No tomato stew recipe, sofrito recipe, tomato-less stew recipe. Will try this! I too am a lazy cook ?